Sorry I didn’t have a report last month, but it is hunting season and I was on a hunt to Alaska for Caribou. I went with my son, brother, and a lifelong hunting friend of 47 years. Although we all had at least 1 chance at a Caribou, my son Brian was the only one to get one on the last day. His Caribou could possibly take 3rd place in the Pope & Young’s 2 year scoring period. We will have to wait 60 days for drying to see if anybody else gets anything bigger this season. We are going full steam on the exterior remodeling of the main cook shack and hope to have the stucco completed by the Tomahawk shoot. Thanks to Jason Duysings for all his expert help along with John Peot, Joe Baglio, Steve Smith, and George Morris. There will be a work party on Oct 8th for the Tomahawk shoot. There is a lot of limb chipping to be done and major clean up of the assembly area so we are need of lots of people. We also need 10 cook shack workers on Sunday the Oct 9th so if you can help out, please call or email Tony Tobin to let him know. With this being hunting season, we have a lot of our members out hunting. The range is starting to look pretty bad. I want to remind all our Members that have Target and Range Assignments that you need to make sure your Assignments are in good shape. 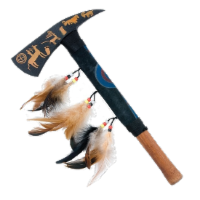 Also, as a reminder to all our hunters, please send us or drop off pictures of your success and fill out your game card so that you can compete for our Oranco Hunting awards. Our annual Christmas fundraiser shoot is only a couple months away. I would like to ask any of our Members that may know of a needy family to please provide a list with the Names, Gender, and Ages of the Children to any Board Member and we will do everything possible to see to it that they get a Christmas Present. On a very serious note, we have had some problems with Club Members Target Camping. Every Member gets a membership package, which has a list of the Club's rules. New Members also get some verbal instructions. We also mention Target Camping in every month’s Newsletter. However, we still have Members who are Target Camping and being arrogant to other Members when being reminded of the rules. This practice will get you expelled from the Club. This is everyone’s last and final warning. Your membership will be terminated period! Also, Overhead Drawing is starting to become a problem again. Your bow arm is not supposed rise above your forehead when you draw your bow. This is a very serious safety problem. You will get one warning after which you are done until you can show you can safely draw your bow. Lastly, all Club Members are required to sign in at the office on Sundays when we are open to the public (8:30 am - 2:00 pm). There are a lot of Members not doing so even after many P.A. requests. Please do us all a favor and sign in before you start shooting. If you are on the roving range before the office opens please sign in after you finish. We are required to do quarterly attendance report to the Parks Department so your cooperation is needed in order to complete a more accurate report. Archery, and Eggs. What do they have in common? On the surface, not much of anything right? Have you ever taken a couple of eggs into a restaurant and asked them to fry the eggs up for you? I’m guessing that most of you will say NO. I will also go out on a limb and assume that most of you think I am crazy for asking the question, yet; in the era of internet and big box stores some of us are guilty of doing essentially the same thing. Sure you may get a great deal on a bow off the internet, or at the big box, “Bow’s-R-Us” store. Then when you need help setting up that bow, you end up at one of the local archery pro-shops. Most likely the local shop treated you right and helped you get the bow set up and shooting correctly. Hopefully you noticed how helpful they were and made a mental note to always go to the local pro shop FIRST in the future. We are lucky enough to have excellent pro-shops all over Southern California, who are always there for us when we need bows, arrows, and accessories. Let’s make sure we give them the support they need to remain in business so they can continue to help us do what we all want to be doing. Just a couple of weeks ago at the 900 Round that we hosted at Oranco, one of the competitor' s bows literally blew into pieces. Immediately there were people from two of the local pro-shops right there taking an inventory of the parts and offering to put the bow back together on the spot. You can’t buy dedication to the sport like that. Personally, I couldn’t have been more proud of the selfless way that two separate shops jumped in and worked together to help a fellow archer. You will never see that internet shop stepping forward to help when something like this happens. Our local shops support us, and we need to support them. Until next time, I hope everyone is healthy and shooting good. The end of the year is fast approaching and I need everyone's updated CBH cards. Come January 1st if I DO NOT have it, you WILL NOT get the gate code. If you have any questions, please feel free to email me. NAFAC Decision has been postponed until the end of September. 900 Round went very well. Thanks to Pete Whitworth and David Bacon for helping with Score Keeping. Hunt Chairman wanted to remind everyone to complete their game cards and turn them in. He also wanted to remind everyone about being Fire Safety conscious right now. He mentioned the recent fire in Orange County was started by a golfer. Please be safe. Help us to protect our range. Kern County Archery Range will be closed until further notice due to their recent fire. Membership Chairman reported 327 Member as of the day of the meeting. Joe Dotterer has been working on several projects around the range to include a new rack for the new quad, running lights on the back hoe, etc..
Board Members are working on the Club By-Laws and will be discussing them at the October Club Board meeting. Terry presented Joe Dotterer with a 35 year Oranco Club Member ring. Joe looks like he won the Super Bowl now. Congratulate him when you see him. A laptop computer was purchased for the Membership Chairman’s position. We need to find a place for the Club Banquet for approximately 50-60 people. The venue needs to be within about ten miles of the Archery Range. Your suggestions are welcomed. Please send me an email. Board Members are finalizing the Club Shoot calendar, the only outstanding item left is the NAFAC as we are still waiting to hear back on their decision. A Member made a request to the Board to be able to drive his own personal quad on the range and it was discussed. Due to the liability issues involving insurance and the fact that it would have to be approved by both the Parks Department and the Corps of Engineers, the Board voted, “No”. A motion was brought up to make a donation to the IBO which is an organization that fights to protect our right to hunt. There was a discussion in regards to moving some of the wood chips from the faces of some of the targets as there have been some archers losing their arrows due to the amount of wood chips currently in place. The Board placed an order for Club Shoot Awards. The Board approved the purchase of a new Chalker. A lesson that was learned from the 900 Round was that we need to add three more targets. A motion was made to get internet for the Club House. Dave will spearhead the initiative. This would allow the Club to pre-print scorecards. The phone at the Club House needs to be checked as it does not always ring. 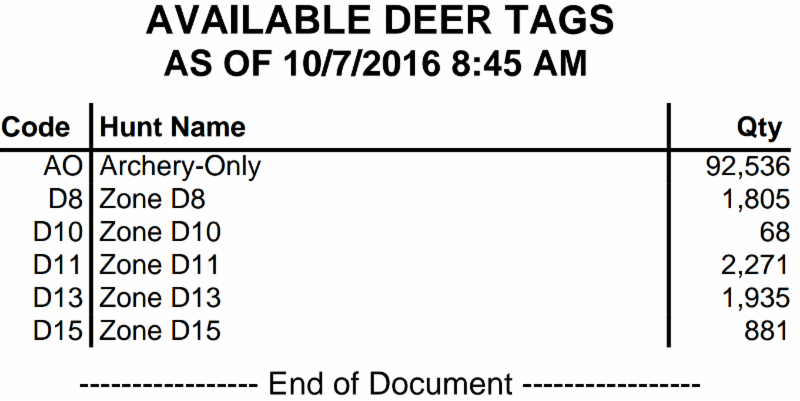 The Board ordered two new Whitetail Deer centers for target replacements. Warning to Members to watch their equipment. There was a bow explosion on a new bow during the 900 Round. One of the grills is having problems with the propane. We will get it checked out. There will be a shoot in Vegas on February 10th—12th. As you can see, there were a lot of topics that were discussed at the last Club Board Meeting. Some of these issues may be important to you. It is held the SECOND Tuesday of each month at the Club House at 7:00 pm. We hope to see you at the next one. For bowhunters, one of the most critical parts of the hunt is determining range, or yardage, from a game animal. This is especially important for most women and young adults. For example, when a hunter is shooting a 70-pound bow, you’ll notice the pin spacing in his or her sights is very close together, whereas the sight pins on a 50-pound bow will be spaced much farther apart. Essentially, this means that the person shooting the 70-pound bow can mis-range an animal by 5-10 yards, and likely still make a good shot that may be only a couple inches high or low. That same shot and same mis-range with a 50-pound bow will be far more evident, missing the chosen spot by possibly 6-8 inches, which can mean a miss, or worse, a marginal or bad shot to the animal. Get familiar with known distances while shooting your bow. For example, commit to memory what 20 yards looks like on the range, and so on. Participate in 3D archery shoots in your area. In the beginning, practice guessing the yardages first; then, use a rangefinder before you take the shot, taking note of how close your estimation was. As you feel more confident, don’t use a rangefinder at all until after you’ve shot. If you wish to really put yourself to the test, allow only 5-10 seconds to estimate range before loosing your arrow. In the field, constantly test yourself and your hunting partner(s). 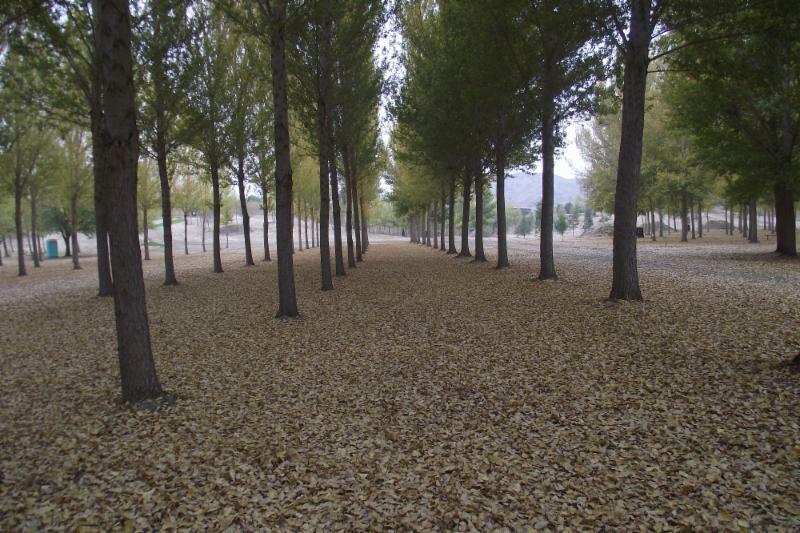 Pick a tree or stump within archery range, and guess how far it is. Make it a fun competition. You’ll be amazed how quickly you sharpen your ranging skills. (Hint: Since you’ve now learned what 20 yards looks like on the shooting range, pick a tree that looks the same distance. You can use that measurement to visually determine how far an animal is beyond that point). Keep in mind, a large-bodied animal (e.g. elk) will appear closer, while a smaller animal, such as a deer, will seem further away, even when they’re the same distance from you. Looking at an object or animal across a ravine or creek bottom may also make it seem farther away than it actually is. Don’t be too proud to carry a rangefinder, and USE IT! 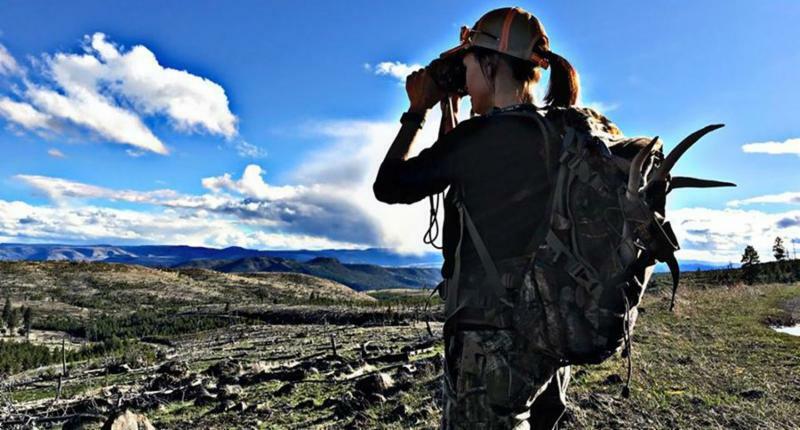 When you’re solo, it’s not very often that you will get to range the actual animal you intend on shooting; however, you may have time to range reference points before the animal gets to you. Make it a habit to range a couple of landmarks when in a stand, or when you set up to call an animal in, or even when you just stop to rest. I’ve had elk walk by while I was eating lunch or trying to take an afternoon nap, and I wish I had ranged that tree they strolled by before I broke out the jerky and fruit roll-ups! For more tips that will up your skills in the field, visit BowtechArchery.com. Range Beautification Party: We would greatly appreciate your help and support to the upcoming Work Parties. Keep an eye out for the email blast. All Club Members and their families are invited. Per Joe Dotterer, Club President there will be an “ ALL YOU CAN EAT LUNCH” served for ALL of our Volunteers who come out and help. 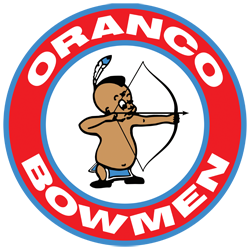 Your assistance ensures that the Oranco Bowmen Archery Club remains the best in Southern California. There is a reason why people travel from all over California to shoot at our Archery Club. Get involved and help us out. Cook Shack Workers Needed: Positions are still available for volunteers to help out during the upcoming shoots. Please call Tony Tobin today to reserve your spot at: (626) 354-2268. First Come, First Serve. Target Camping: This is NOT Allowed...Period. Your Membership will be terminated for doing this! The Practice Butts are for sighting in, improving your archery skills, and honing your accuracy. The Roving Range is just that, Roving. Shoot 4 arrows, Score them, then move on to the next target. HAVE FUN SHOOTING WITH FRIENDS AND FAMILY ON OUR 28 TARGET FIELD COURSE. Mission Statement: My Goal as Newsletter Editor is to help Members stay informed with the Operations and Activities that are going on in and around the Oranco Bowmen Archery Club. Your suggestions are welcome and appreciated. Check out our new website.